Today’s episode is based on the premise that you can only optimize three of these four activities at once – work, sleep, family or exercise. 7 months into parenting this has never been so evident for us. We discuss how we manage our Type A overachiever personalities through the first months of parenthood. Our takeaways are focused on how to give some love to the fourth attribute without having to go all in. Are you having to choose between life goals, surrender to a situational experience or balance multiple aspects of your life at once? Our tips may help. Plus – is “hours of sleep per night” the new measure of success. In this high paced world I can’t think of a better one. Epi 25: Does the negative calorie diet work? 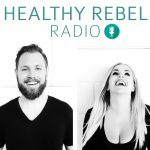 Epi 90: What is holistic weight loss to me? Why does it work? Part 1. 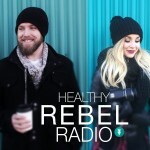 Epi 55: Sugar and coffee are disappearing – what should we do?